The language of Laundry is spoken often in Costa Rica because of the warm weather and easy access to dirt, but it is spoken in terms of sunshine and warm breezes, limited only by afternoon rains, line space, and the number of clothespins you own. 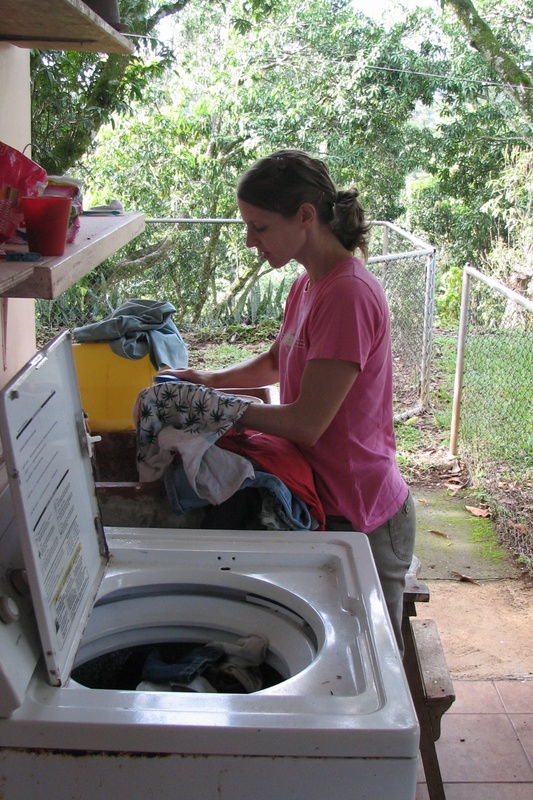 In Costa Rica, joy, and laundry, come in the morning. This entry was posted in 1000 Words, Costa Rica and tagged breezes, Costa Rica, joy, language, laundry, morning, sunshine. Bookmark the permalink. oh, i love doing laundry! my favorite household job 🙂 and hanging out clothes on the line is the best! your kids will learn that they can really wear clothes more than one day 🙂 except for underwear – lol! Right on with the re-wear, Pam! It’s certainly a fun game I’ll get to play in Costa Rica. Love getting an early start on a beautiful day and beating the afternoon rains. It makes sunshine and warm breezes even more glorious.